After two failed attempts to acquire the Hawaiian Islands by a treaty of cession as required by international law, the U.S. Congress “unilaterally” enacted a Joint Resolution purporting to annex the Hawaiian Islands, which was signed into law by President McKinley on July 7, 1898 during the Spanish-American War as a war measure. The United States Congress was fully aware that a joint resolution is not a cession of territory by treaty, but only an opinion or will of the U.S. Congress limited in authority to territory of the United States. The Hawaiian Kingdom was not annexed to the United States and remained an independent, but occupied State. 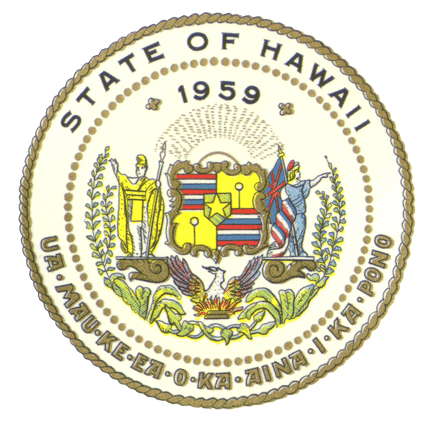 Usurping Hawaiian sovereignty, U.S. President McKinley signed into United States law An Act To provide a government for the Territory of Hawai’i on April 30, 1900; and on March 18, 1959, U.S. President Eisenhower signed into United States law An Act To provide for the admission of the State of Hawai’i into the Union. According to the United States Supreme Court, in United States v. Curtiss-Wright Export Corp., (1936), “Neither the Constitution nor the laws passed in pursuance of it have any force in foreign territory unless in respect of our own citizens; and operations of the nation in such territory must be governed by treaties, international understandings and compacts, and the principles of international law…. [T]he court recognized, and in each of the cases cited [involving the exercise of the sovereign power of the United States] found, the warrant for its conclusions not in the provisions of the Constitution, but in the law of nations”. United States laws are not only limited to United States territory, but the 1898 joint resolution of annexation, the 1900 Territorial Act, and the 1959 Hawai‘i Statehood Act stand in direct violation of the 1893 Lili`uokalani assignment and the Restoration Agreement, being international compacts, the 1907 Hague Convention, IV, and the 1949 Geneva Convention, IV. Usurpation of sovereignty is to illegally take by force the sovereignty of another country. International tribunals and national tribunals prosecuted both military and civilians after World War I and World War II for these war crimes. The State of Hawai’i government, established by an Act of Congress in 1959, is a usurpation of sovereignty during occupation and therefore not only illegal but also constitutes a war crime. This entry was posted in International Relations, National, War Crimes by Hawaiian Kingdom. Bookmark the permalink. thanks again for that story. What will be happening in 2013? Beginning on March 4, 2013, the Prosecutor for the International Criminal Court will possess the authority as an independent investigator to inquire into war crimes committed within Hawaiian territory. By acceding to the ICC Rome Statute, the Hawaiian Kingdom, as a State, accepted the exercise of the ICC’s jurisdiction over war crimes committed within its territory by its own nationals as well as war crimes committed by nationals of States that are not State Parties to the ICC Rome Statute, such as the United States. The ICC prosecutes individuals and not States. Yes that is true. What has to be kept in mind as well is that the U.S. Federal government is organized under the separation of powers doctrine, i.e., legislative (Congress), executive (President), and judicial (Courts). Of the three branches, only the President as the executive, represents the U.S. in foreign relations. Congressional laws and Court decisions are limited in application to territories of the United States and has no force beyond the borders of the United States. So the Supreme Court’s decision in Bidwell is limited to U.S. territory and has nothing to do with Hawai‘i or international law. It would only apply if Hawai‘i was ceded by a treaty of cession. Since there is no treaty nothing was ceded. According to the Rome Statute, the International Criminal Court’s (ICC) jurisdiction is limited to events taking place since July 1, 2002, which is the date the ICC came into existence. Since the Hawaiian Kingdom acceded to the ICC’s Rome Statute on December 10, 2012, the Rome Statute provides that jurisdiction for the ICC will begin on March 4, 2012. The Hawaiian Kingdom, however, can accept the jurisdiction of the ICC for the period before March 4, 2013, which will include events that have transpired since July 1, 2002. At this time, the Hawaiian Kingdom has not done so, but does reserve that right. Would the prosecution of only one case by the ICC on behalf of the Hawaiian Kingdom be enough to force the U.S. to recognize the Hawaiian Kingdom as a co-equal sovereign? Or will it be necessary for us to assert our foreign status in the State of Hawaii judicial system until all who deny our claim are properly addressed by the ICC? Mahalo! As a sovereign and independent state since 1843, the Hawaiian Kingdom is a co-equal to the United States and other States throughout the world. Because the country is under an illegal and prolonged occupation does not diminish its status as a co-equal sovereign. War crimes are merely a consequence of the illegality and the ICC is an extension of the Hawaiian State’s inability to hold to account individuals who are violating Hawaiian law and the international laws of occupation. IS IT MARCH 4, 2012 OR MARCH 4, 2013 ? I made my keiki read the blog. They asked me if someone does anything bad to Hawaiians can we send them to jail? I responded I’m not sure you need to read more and become a lawyer for the Kingdom of Hawaii. Where can I find more information on ICC prosecution of war criminals and the process? A 2010 report for Members and Committees of the U.S. Congress, “The International Criminal Court (ICC): Jurisdiction, Extradition, and U.S. Policy”, prepared by Emily C. Barbour and Matthew C. Week of the Congressional Research Service is an excellent overview of the International Criminal Court. Aloha, I have several questions regarding the ICC process. Can individuals file a complaint against others who committed war crimes under the ICC guideline/mandate? and if so, Is there a form which could be used? and finally, Do the individuals send their complaints to the Hawaiian Kingdom. Shouldn’t the Supreme court rule the existence of the State of Hawaii (part of the US) as unconstitutional when considering the non-compliance of of the executive agreements, the legislative branch encroaching upon the executive branch’s authority in foriegn relations and acts of congress extending beyond its territory. If that is not enough, how about my tax dollars being used to oppress my people, used to fund propoganda to hide the truth and destroy our culture. Separate but equal doctirine was deemed unconstitutional. Since the U.S. “State of Hawaiʻi” is a war crime, doesn’t it follow that the Department of Hawaiian Home Lands (DHHL), Office of Hawaiian Affairs (OHA), Act 195, Native Hawaiian Roll Commission (NHRC), and Kanaʻiolowalu are also war crimes? Will the governor, members of the legislature, and commissioners be reported for war crimes, because of their role in creating and administering Act 195?